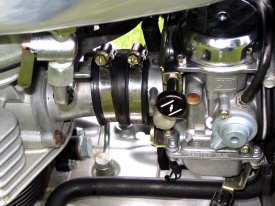 Carburetion: Keihin CVK 36mm carbs, rejetted to match exhaust and air filters, heavy-duty intake rubbers with stainless steel manifold clamps, BellaCorse carb support brace, stock airbox replaced with ARP slip-on pod air filters. 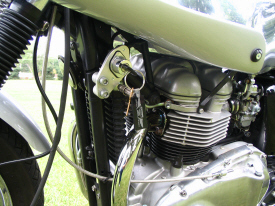 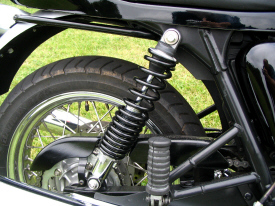 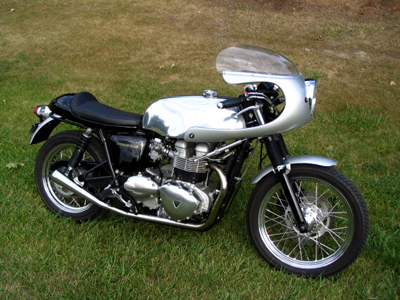 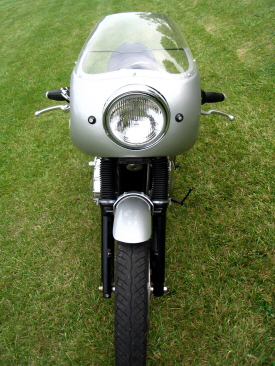 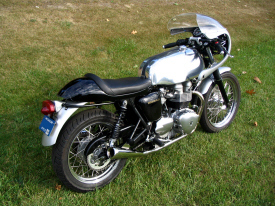 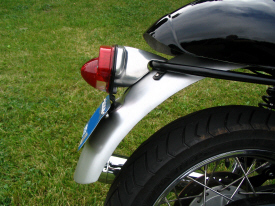 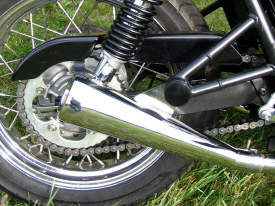 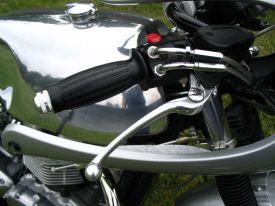 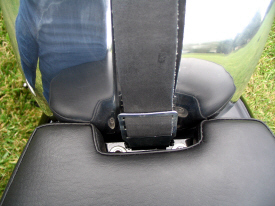 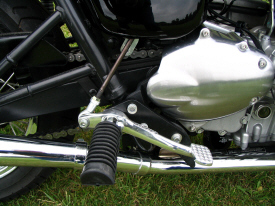 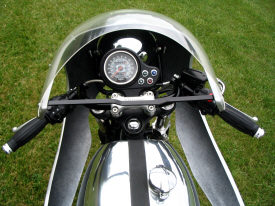 Rear Fender: Stock OE steel rear fender, cut-down in length and side profile and supported with an actual 1966 rear fender brace. 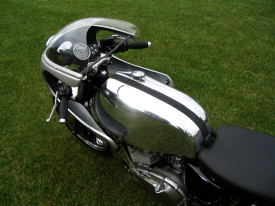 Painted Metallic Silver. 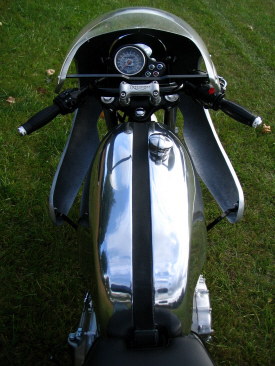 Fuel Tank: Norman Hyde polished aluminum fuel tank with mounting strap, petcock and flip-open Monza fuel cap. 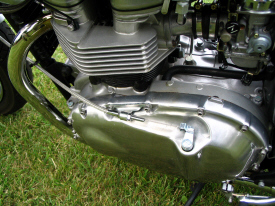 Capacity: Lots!